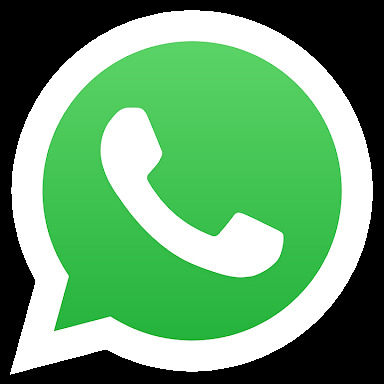 World's largest direct message/social media application "WhatsApp" with over 83 million users on the android platform alone, has around July 2018, announced the limitation of the number of times a user can forward a message from 20 to 5 contacts or groups. But this was only implemented in India as of July last year. Being the Company's largest geographical market, its decision was triggered by the high rise in the dissimmination of fake news along this region. But it seems like the issue of fake news is widely the concern of most countries in recent years. 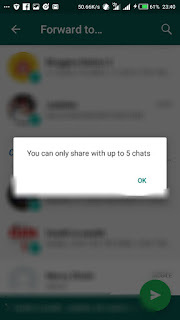 So WhatsApp has earlier this year updated its policy to cover the world wide users of the App in 2019. And is efficiently on its way to doing that. In a study carried out amongst countries like India, Zimbabwe and some other locations in the world, where whatsapp is widely used, it shows that the most amount of fake news in recent times have been passed through WhatsApp (about 75%). When the application allowed users to forward messages to twenty (20) groups or contacts, we estimate a total of about 5,000 plus contacts reached (impressions) with each group having their spaces at a near-full capacity. This could be a turn down for media marketers who have the bulk of their traffick from WhatsApp, because according to the new policy that limits the number of sharing or forwarding to five (5), users are getting bearly 2,000 impressions from their content. Is this a pull down for Digital Marketers? Do Bloggers and Affiliate Marketers have to search some place else for traffick? is Facebook, Instagram, Pinterest or even Youtube the next option? Lets know what you think in the comment section below and tell us how it affects you as a user.